All asbestos removal contracts are carried out in strict compliance with Health and Safety at Work (Asbestos) Regulations 2016 and Approved Code of Practice Worksafe NZ. To ensure compliance we organise audits of our sites both internally and by external agencies. These are undertaken internally by our auditing staff and by external auditing organisations such as Telarc and OHS Consulting, ensuring an independent and unbiased assessment. 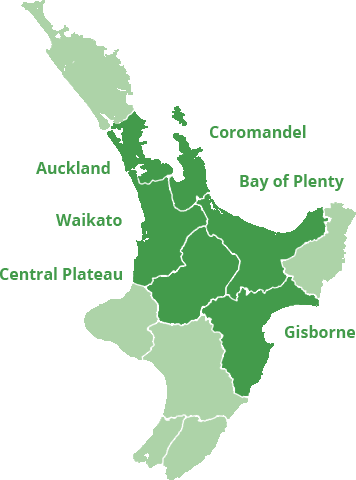 We are providing clients with asbestos removal, asbestos testing advice, asbestos demolition, commercial asbestos removal, asbestos disposal, residential asbestos removal, asbestos site evaluation, removing asbestos in Waikato, Bay of Plenty, Coromandel, Gisborne, Rotorua, Taupo and King Country. We offer safe, licensed, professional asbestos removal, testing and demolition in Central North Island with our fully trained asbestos removalists. More about our Asbestos Removal Licenses.